Must Watch: Thomas Jane's Give 'Em Hell Malone Promo! This movie gets it just right. One of the nagging worries that I have any time that I sit down to watch a feature-length independent film is that it will drag its feet or not catch my interest until it's already half-finished. 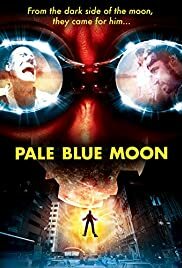 Pale Blue Moon is that odd film that completely avoids that. From the moment that Simon Applewhite shakily begins to explain the Morgon (moon-dwelling people) invasion, to the marvelous ending (which I won't give away), I was riveted. Excellent writing, wonderful direction, and incredible performances. Most noteworth is Ice Mrozek as Simon Applewhite. 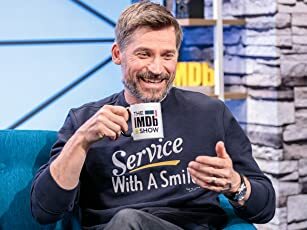 He is both endearing and annoying in his role and I honestly can't imagine any big names in Hollywood doing a better job. Remarkable and touching. Johnny Sneed is given the somewhat difficult job of playing straight man John Lefsburg opposite Mrozek's Simon, and manages to pull this off without being completely overshadowed. The storyline, as stated before, catches your interest quickly and doesn't release it until the credits role. By the middle of the movie, I was completely undecided on who was sane and who was crazy. This was an excellent film all around and Mark Hosack is to be congratulated. Possibly thanked for a much more enjoyable cinematic experience than I've had in quite some time.